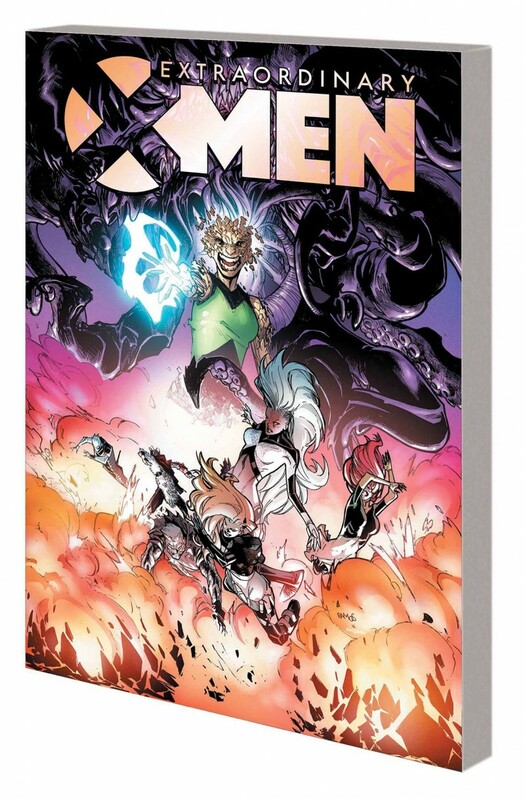 Collects EXTRAORDINARY X-MEN #13-16 and ANNUAL #1. An ancient evil stirs in the periphery of Limbo, consuming mystical realms - and little does Magik suspect that the X-Men’s newest charge is drawing this World-Eater straight to X-Haven! Meanwhile, Colossus rampages across Earth as a Horseman of Apocalypse! Can Nightcrawler and Iceman wrest their friend from his evil influence? As the World-Eater bears down on Limbo, everything Magik cares about is on the line: her ward, her brother and the world’s surviving mutants. What will it cost to save them all? Plus: When the Terrigen Cloud threatens a jail, and the warden refuses to protect its mutant inmates, the Extraordinary X-Men take matters into their own hands and stage a prison break! And when Moon Girl takes it upon herself to solve the Terrigen crisis, she may just find an unlikely ally!